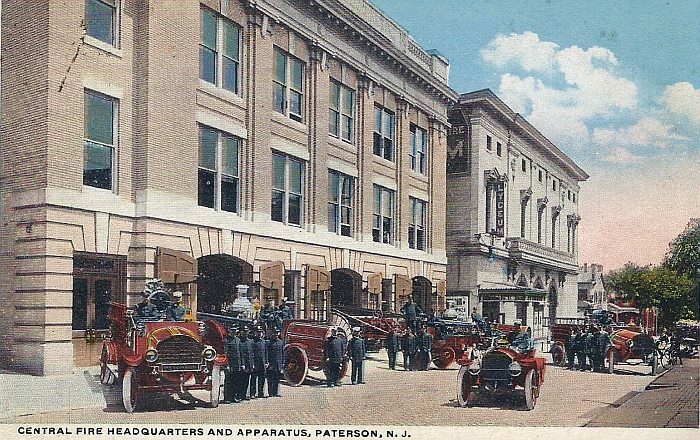 From its inception in 1890, all of the apparatus used by the partially or fully paid Paterson fire department. 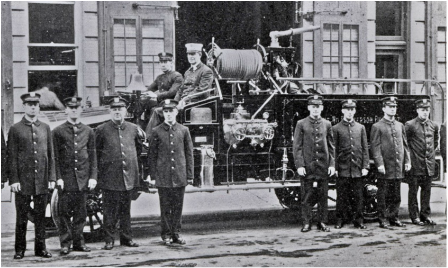 Motorization and hence the end of the horse drawn era began with the construction and opening of a new firehouse at 198 17th Avenue for a new engine company: Number 10. 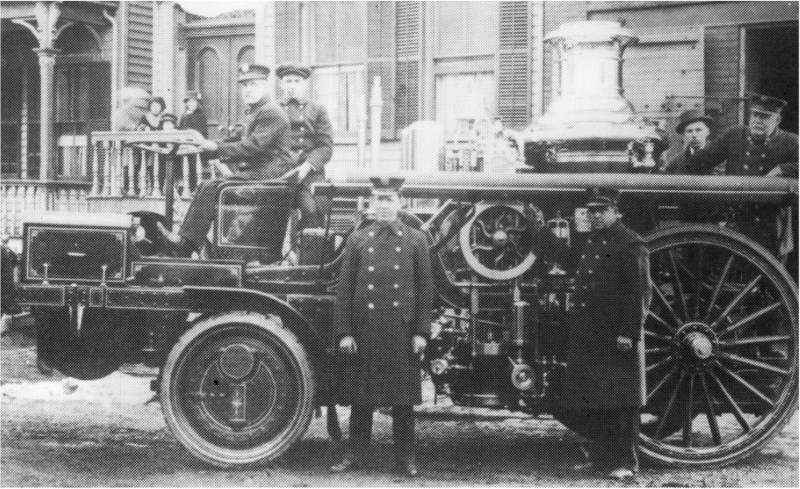 The house opened on October 25, 1910 the apparatus was a Howe Automobile Combination Fire Engine (built in Indianapolis, IN), 750 GPM (Model AP-N). 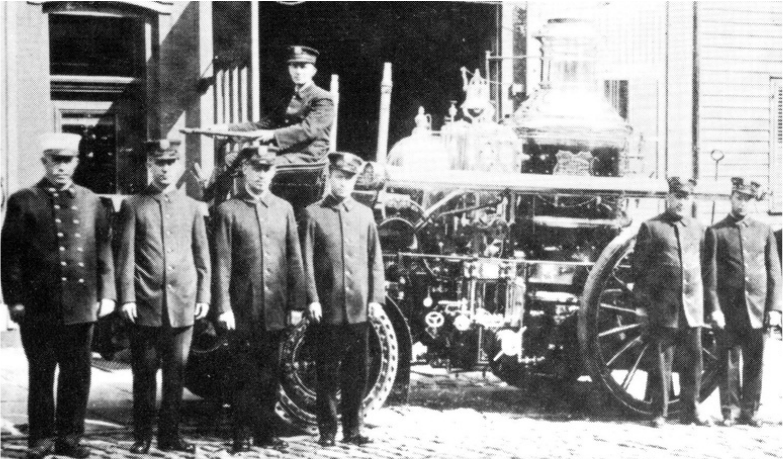 It was the first motorized (gasoline powered) apparatus used by the Paterson Fire Department. 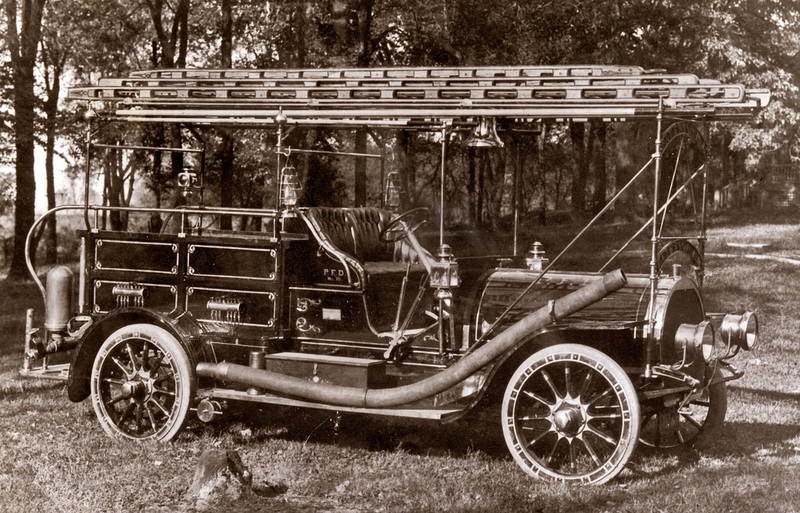 The motorization of the rest of the department started in 1911 and finally completed in 1920 by either buying new motorized apparatus or disconnecting steamers, hose wagons and hook and ladder trailers from the wagon shafts and horse yokes and replacing them with gasoline powered tractors. 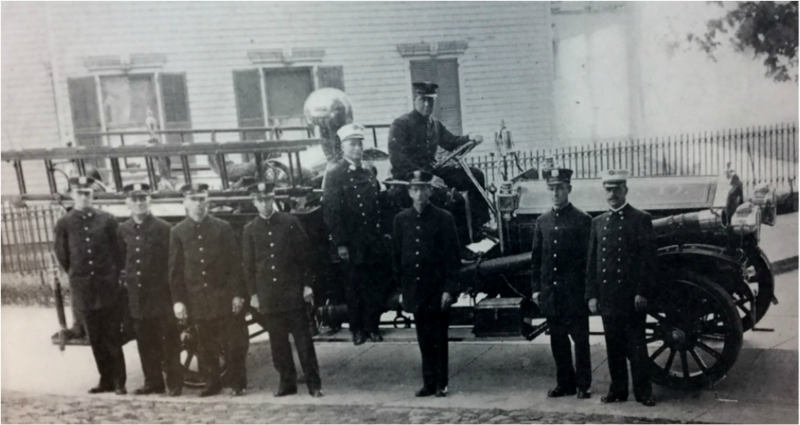 In 1911 the apparatus of Chemical Engine 1 located on Hotel Street was rebuilt and motorized and renamed Engine Company 11 - which soon moved into a new firehouse built at 97 Grand Street. 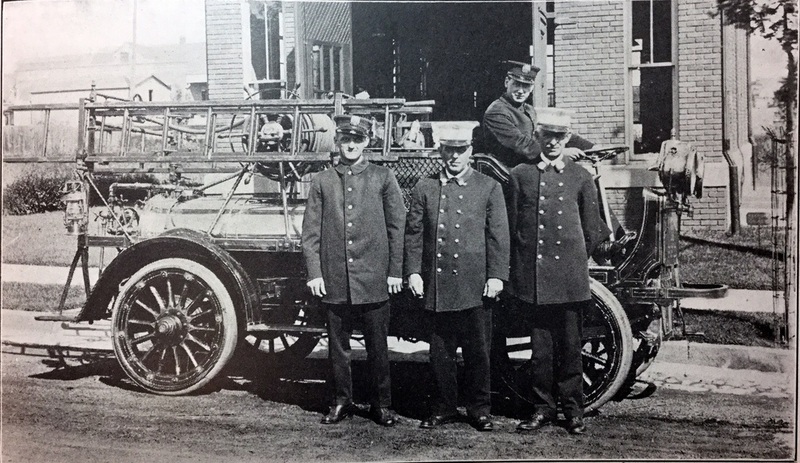 With the opening of a new Fire Department Headquarters at 115 Van Houten Street, Engines 1 and 5 (as well as their hose wagons) and then Truck 2 were motorized. Likewise with the chief gigs. 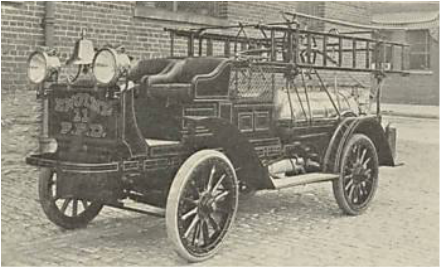 Engines 1 and 5 had a Nott Propelling Motor attached to their First Size Metropolitan Steam Fire Engines and and their Combination Hose Wagons put on a Sampson Auto Chassis. 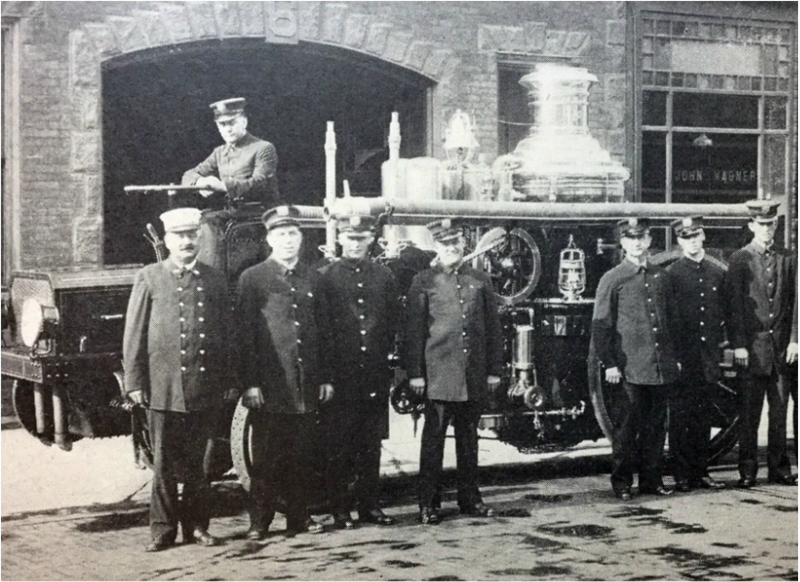 Those companies (but not Truck 2) were present with the opening of the firehouse in March 1912. There were never any stables at 115 Van Houten Street. 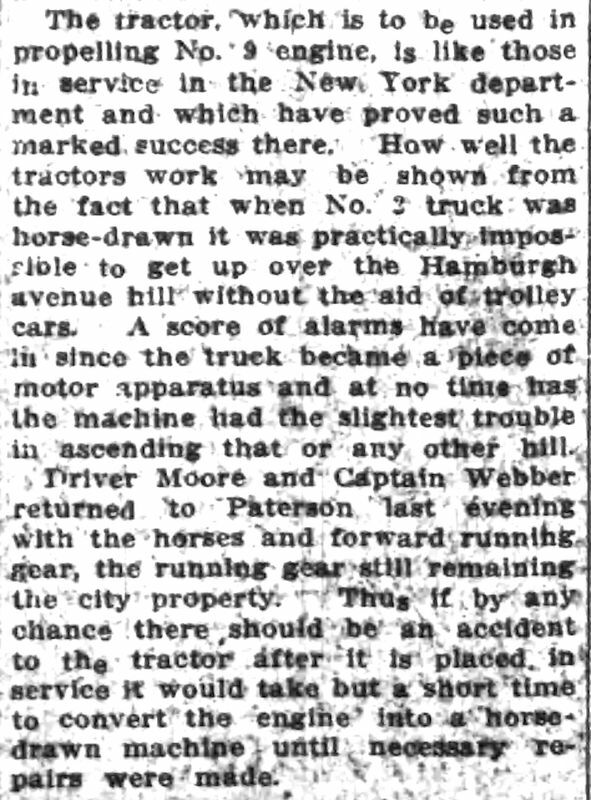 There was a delay in converting Truck 2's aerial and it did not move to Van Houten Street, from its 77 Prospect Street location until December 1912. It had a a Christie Front Drive Tractor ​attached. 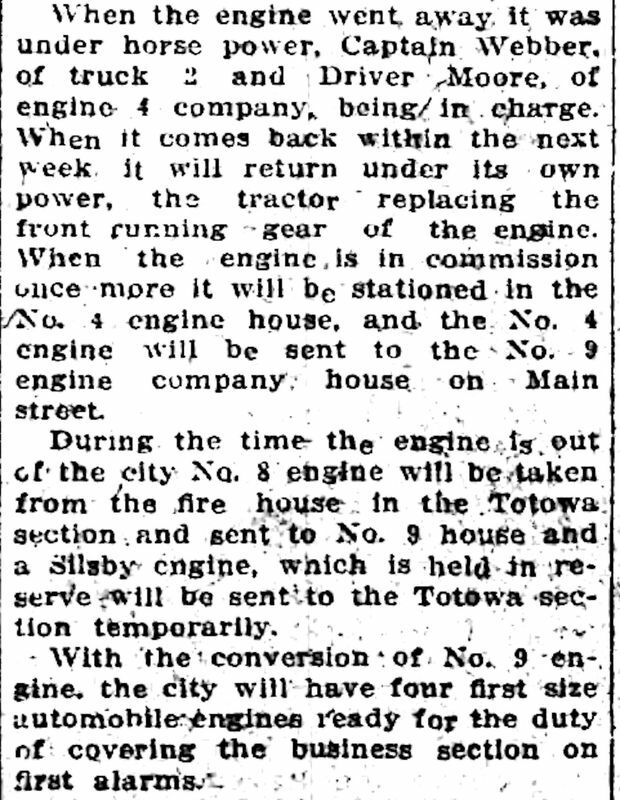 nOn January 10, 1913 another new firehouse opened at 36 Circle Avenue at the intersection of Clinto and North Third Streets to house a new Engine Company labeled as 12. 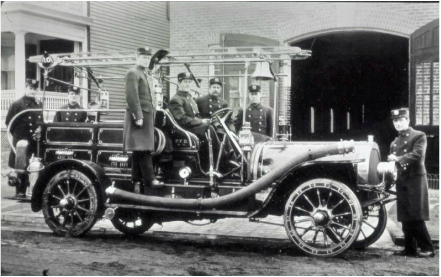 A new First Size Robinson Combination Motor Hose and Pumping apparatus was purchased. 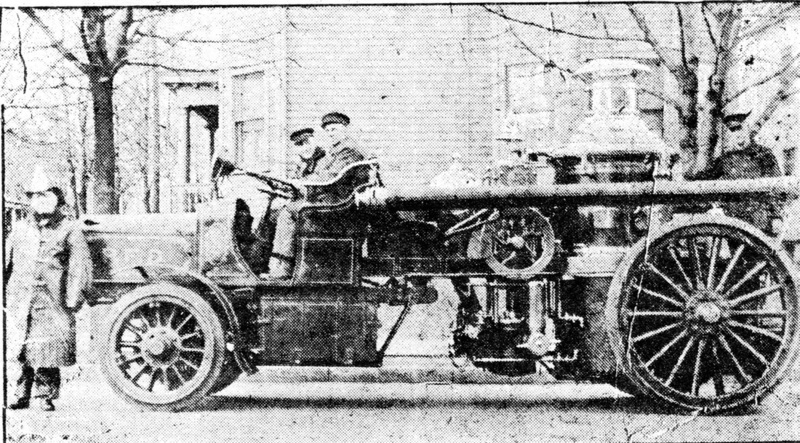 In April of 1913 a Christie Front Drive Tractor attached to the first size Nott Steamer of Engine Company 8 located at 71 Wayne Avenue. 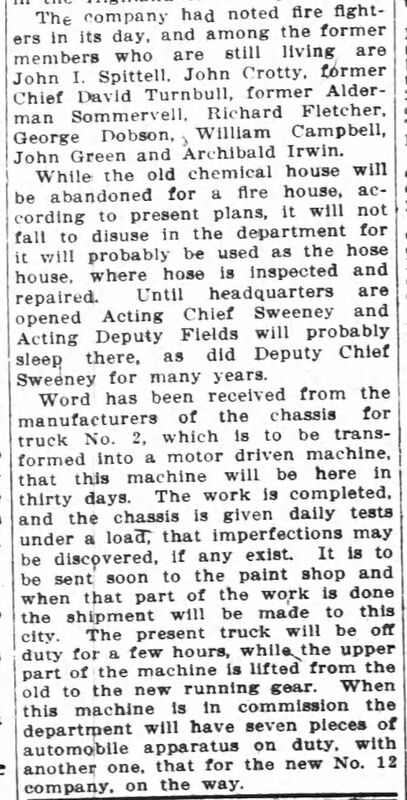 In January of 1916 a new Christie Front Drive Tractor was attached to a new Continental Boiler (replacing the Nott) from Ahrens Fox. 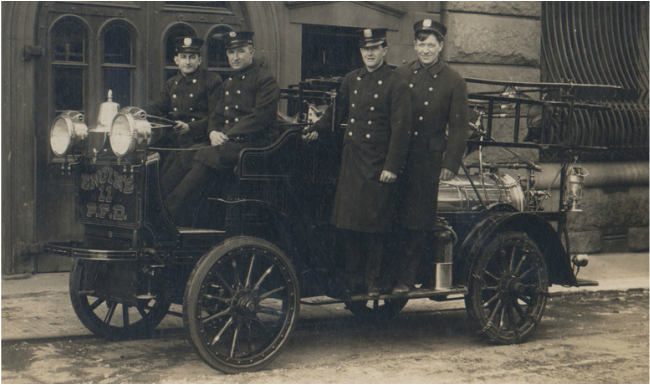 This was the first Ahrens Fox apparatus in Paterson (many more to follow in the 1920s and 30s). 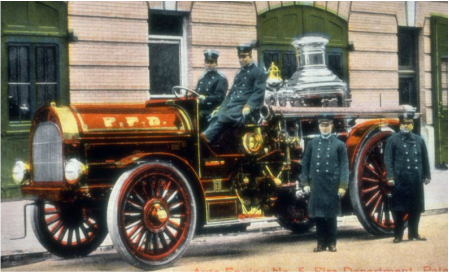 On May 23 1913 the First size Metropolitan Steam Fire Engine of Engine 9 was motorized with a Christie Front Drive Tractor and transferred to Engine Company 4 on Slater Street. 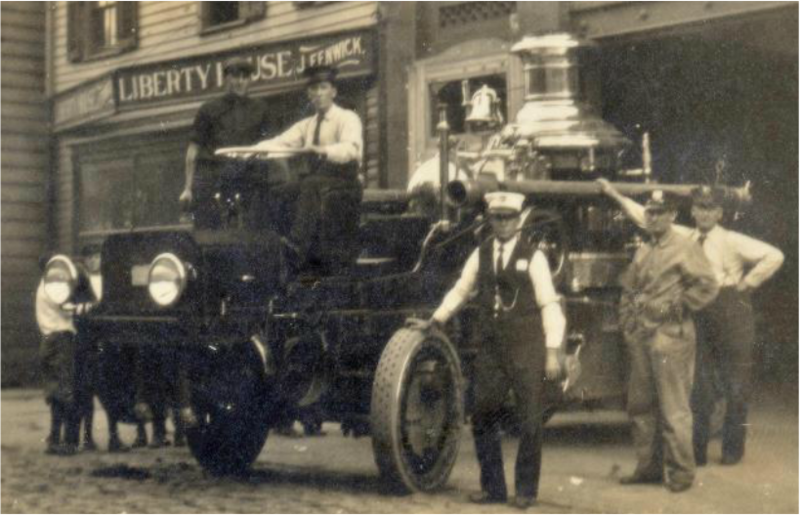 On August 1, 1913 a new Christie Front Drive Tractor attached to the 1904 75' LaFrance aerial of Truck Company 1 located at 72 Jackson Street. 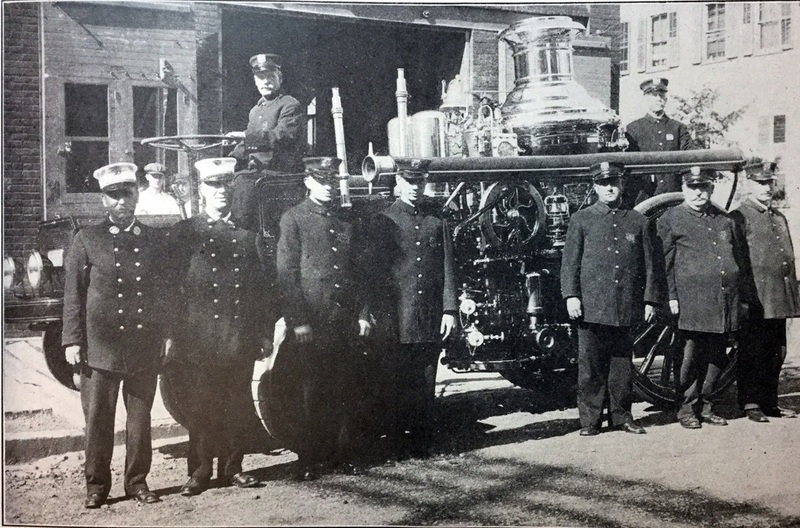 fEngine Company 9 (at 586 Main Street) and Truck Company 3 (on Godwin Avenue) and several hose companies were the last to be motorized: Engine 9's steamer with a 1916 Continental (Ahrens Fox Boiler) received an electric (battery powered) tractor in 1917. No photo exists. 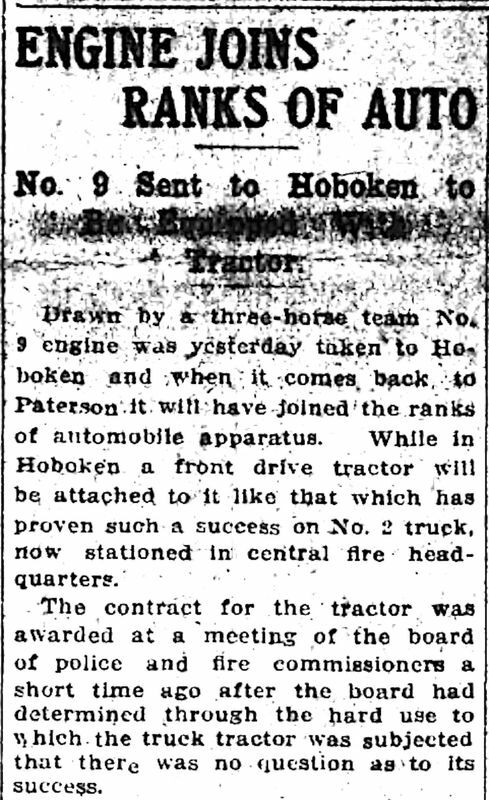 On July 4, 1920 a Commercial Truck Company (of Philadelphia) 75' Aerial with electric (battery) powered tractor (Serial # 19027) and a water tower attachment was purchased. 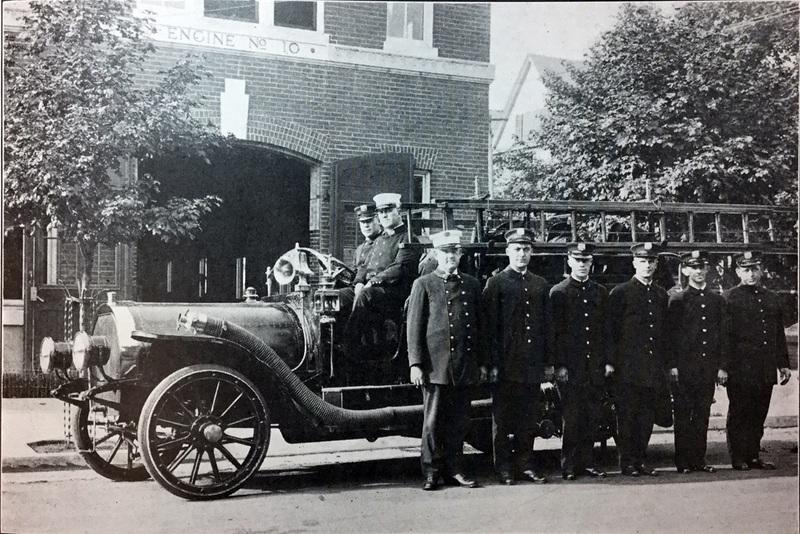 The horse pulled aerial of truck 3 (last refurbished in 1906) and drawn by three horses was the last horse drawn fire apparatus ever used by the PFD with its last run being on July 4, 1920. The 1920 Electric powered aerial (of which no photos exist) also became the last electric powered apparatus ever used by the PFD with its last run on March 29, 1932. It was replaced with a new Ahrens Fox aerial. 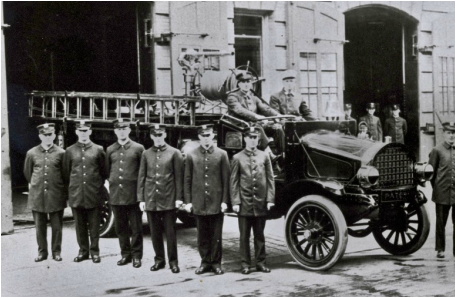 Engine Company 13 was established in 1928 at the new 37 23rd Avenue firehouse. 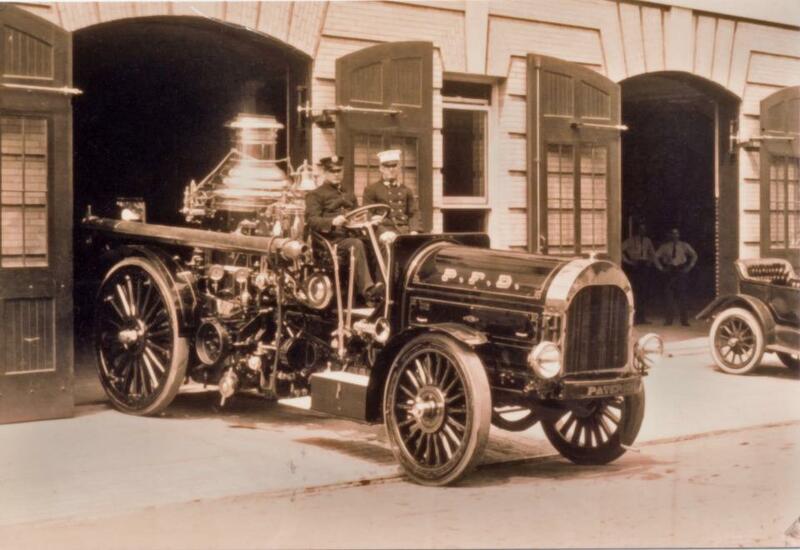 It received a new fully motorized 1928 Ahrens Fox pumper.